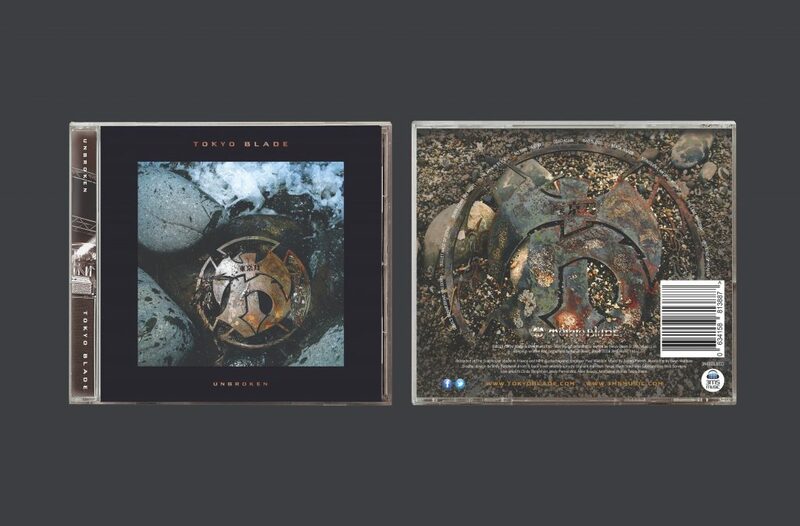 Following on from Tokyo Blade’s triumphant launch of their latest studio album in Camden last weekend, fans attest that this is possibly the band’s best album to date. It’s true to say the crowd went wild. It was a very hot night but that did not deter the fans from gathering and celebrating this long-awaited album release. I can confirm that the merch stand was very busy indeed! Featuring the original line up, their music is as hard-hitting as it’s ever been and the band agree that this is their best work & how much they have enjoyed working with 3Ms who let them produce the album they wanted with no hassle and tremendous support. Considering the labels they dealt with in the 1980’s this is praise indeed! Almost forty years in the game, this particular blade is still razor sharp. Stalwarts of the NWOBHM, this is the band from Salisbury’s eighth studio album and finds all the original members back in the band with a sense of purpose. And they’ve created an album worthy of their legacy. ‘Unbroken’ indeed and this proves the old adage “If it ain’t broke, don’t fix it.” It’s seven years since their excellent ‘Thousand Men Strong’ album, which featured this line-up plus Nicolaj Ruhnow on vocals. Returning singer Alan Marsh is a fine singer, rather than a heavy metal screamer, but on the brooding ‘Burn Down The Night’, ‘The Man In Black’ and also ‘Dead Again’, you can well imagine a young James Hetfield singing in the mirror with some Tokyo Blade playing in the background. Their appeal is their twin guitar attack and that remains true here, too, as they crank out chunky old school metal riffs and fire off exhilarating solos. The rhythm section is also classy. Steven Pierce’s drumming drives the music well, proof you don’t need to rely on a double bass kick drum to create power. This is a band who understand dynamics; happy to slow a song down mid-way, only to build up the tension before blasting off again in terms of intensity and speed. After four decades, father-time is present in the lyrics, ‘Bullet Made Of Stone’ grieving the loss of so many of our musical heroes recently and ‘The Last Samurai’ where the samurai is really, I surmise, a metaphor for the band themselves. On the atypical ‘Bad Blood’, at the end of the song, Marsh sounds very much like Robert Plant having his lemons squeezed. Much like fellow UK band Tank, they’ve found a way to stay relevant without severing their roots. Of course, NWOBHM was replaced by tougher, heavier and darker metal, so the impact of their sound isn’t as revolutionary as the debut back in 1983, but for an example of how to do traditional metal, this is great. The “raucous twin guitar gallop” and working class aesthetic of NWOBHM is alive and well. Although it’s been variously reported as either the original line up, and as line up Mk2 (aka The New Originals) this iteration of Tokyo Blade nevertheless sounds majestic, disciplined and like their heads are back in 1984 when Night Of The Blade crested the last great tidal wave of NWOBHM popularity. Unbroken finds the band reconnecting with the foundation that underpinned their music back in those “nearly made-it” days. It’s high energy, down to the bone riffola, head turningly and head-bangingly adorned with the double shot axework of Andy Boulton and John Wiggins, is still the core of the band’s sound. That said, It doesn’t depend on primal power any longer – those elements have been cleanly exorcised, giving way to a more evolved melodic sound now. They’ve written a bunch of well-crafted songs here. Stories of twisted relationships and grim realism, which are, as usual, full of monochrome colouring, sinuous hooks and razoring axework. Alan Marsh’s vocals have grown in confidence and intensity over the years, sounding right at home on ‘Devil’s Gonna Bring You Down’ and ‘Dead Again’, both powerful chunks of heat treated heavy metal. The gritty, menacing ‘Man In Black’ and ‘Burn Down The Night”s rubbery bass lines and brisk percussion remind us it’s easy to be blinded by the twin leads. In fact, those upfront guitars lean heavily on the rhythm section to create the kind of grown-up, a mature grained metal that’s typified by tracks like ‘Bullet Made Of Stone’, and magnificently apposite closer, ‘My Kind Of Heaven’. For a band who once changed shape and sound, disbanded, and reformed while managing a dizzying run of line up changes, a seen-it-all, done-it-all mindset would have been understandable, and if you detect an underlying trace of bitterness, then that would be understandable too. But the fact they are still going strong, writing and recording such great metal might just be a cause for quiet celebration. Plus a whole load more are scrambling to get their hands on a promo copy for review and radio. Look out for an in-depth interview in Fireworks Magazine coming soon. The single taken from the album was also launched to coincide with the release & so far over 1.3K views in 3 days. Probably the most commercial song from the album, 3Ms Music hope that this will give the band the success they so surely deserve. A great chance to cross over to mainstream radio whilst still keeping that #Blade sharp! Watch the video, get the album & let us know what you think! This entry was posted in Tokyo Blade. Bookmark the permalink.